Grab your favorite burger from our awesome neighbors, Home Burger Bar and head to GMH for Trivia Tuesday’s! 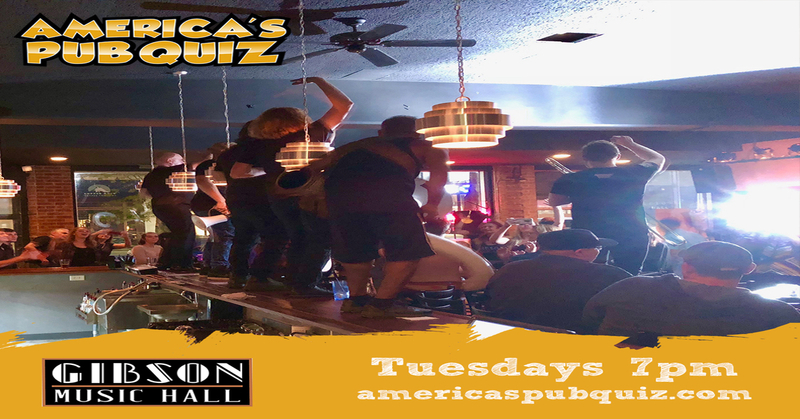 America’s Pub Quiz is the best live-hosted trivia show that brings a FREE quiz night to bars, pubs and restaurants throughout the Midwest! We are happy to bring fun trivia to family, friends and co-workers. An entertaining evening to be had by all – guaranteed! It’s FREE to play! We are so confident in your enjoyment that we aren’t going to charge you anything to play AND provide FREE nightly prizes and regular cash tournaments. Subject matter is a potpourri of categories including music, movies, TV, sports, history, and more, with plenty of surprises along the way. A plethora of categories gives all team members their strong subject and ensures the useless knowledge stored away will finally be put to good use.